WordPress is a wonderful web platform, it is no wonder it is such a popular choice for photographers around the world. A photography website offers a unique set of challenges requiring a unique set of plugins to resolve. It’s important to be mindful that the overuse of plugins can substantially slow down a WordPress website. If you continue reading, then you’re interested in WordPress for photographers, more specifically, plugins that are worth installing on your WordPress website. There are also plugins that work under the hood to offer powerful tools for photographers who use WordPress for their websites. I have listed the top 15 amazing free Photography WordPress plugins that I believe every photographer should be using to get the most out of their WordPress powered website. Some of these WordPress plugins for photographers can provide business management functionality so that your website works for you in so many ways. WP Colorbox plugin is a simple lightbox tool for WordPress. It allows users to pop up content in lightbox using the popular jQuery ColorBox library. They can also view the larger version of a particular media file without leaving the page. This plugin allows you to create a Buy button for each NextGEN Gallery photo that a user can click to purchase. Quick one-click checkout for your e-commerce photo gallery. Create a photo store using NextGEN Gallery and add purchase functionality to it. Allow users to buy images from your website. Sell Media is a WordPress plugin that allows anyone to sell, license and protect images, videos, audio and pdf’s on their self-hosted WordPress site. Charge licensing fees for commercial, editorial, or personal usages. Accept payments via PayPal. Additional payment gateways are also available. NextGEN Gallery is the most popular WordPress gallery plugin, and one of the most popular WordPress plugins of all time, with over 10 million downloads. It provides a powerful engine for uploading and managing galleries of images, with the ability to batch upload, import meta data, add/delete/rearrange/sort images, edit thumbnails, group galleries into albums, and more. This plugin adds a shortcode, that can be used within Pages and Posts, to display a gallery of the latest images that have been uploading to your Media Library. Plugin that allows you to show your Flickr Photostream, Photosets, Galleries, Group Pools, or Tags in your blog, with a very elegant and awesome layout. 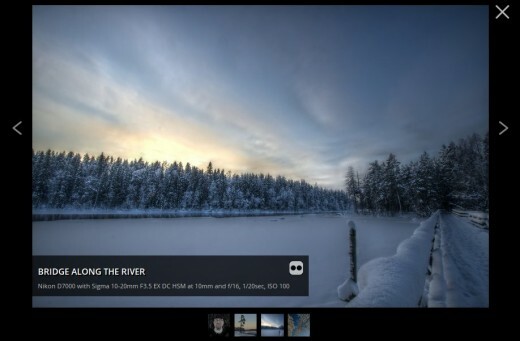 You can configure the height of the rows to have a grid that can be like the justified grid of Flickr or of Google+. WP iSell Photo enhances the functionality of your existing WordPress photo gallery and turns it into an e-commerce photo gallery. It makes photo selling easier. You don’t have to maintain another heavy weight photo gallery plugin for your WordPress blog. This in turn should help you maintain a fast loading site. CP Image Store with Slideshow is an online store for the sale of image files: images, predefined pictures, clipart, drawings, vector images. For payment processing, CP Image Store with Slideshow uses PayPal, which is the most widely used payment gateway, safe and easy to use. The Ultimate gallery manager that combines the best features of the WordPress media manager with a simplified and flexible gallery management tool. This gallery manager has been designed specifically for the requirements of photography professionals and creatives. Blipfoto is an online daily photo journal. Each day you can upload one photo and add some words. It is also a very friendly community where people comment on and rate each other’s photos, choose favorite ‘blips’ (the informal name given to journal entries), follow journals, join groups and take part in discussions. This plugin offers the possibility of displaying a photo gallery on multiple pages / pagination gallery + Ajax, CDN, Caching, SEO. Compatible with Simple Lightbox , Lightbox Gallery , FancyBox for WordPress , Slim Box and many others. Next Internet Marketing vs Traditional Marketing: What Works Better?